The City of Ridgeland and the City of Jackson announced the East County Line Road Resurfacing Project at a public event in Ridgeland on April 5. 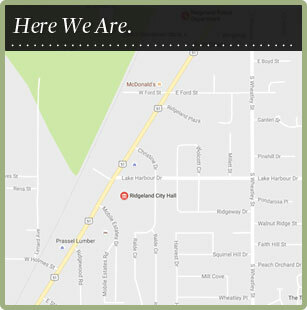 County Line Road lies at the border of the City of Ridgeland and Madison County and the City of Jackson. The roadway will be resurfaced from I-55 to Pear Orchard Road. By Interlocal Agreement with the City of Jackson, the City of Ridgeland will manage the project, conforming to Ridgeland’s design and construction standards. Jackson and Ridgeland will share the cost of the project 50/50, with the Madison County Board of Supervisors pledging $675,000 for Ridgeland’s portion of the project. The City of Jackson has secured the other $675,000 for the project through general funds. The project is valued at $1.35 million. Officials from both cities and from Madison County were in attendance at the project announcement event held in Ridgeland at North Regency Square Shopping Center, 900 E. County Line Road. Resurfacing of County Line Road from I-55 to Pear Orchard Road will begin in April, and it will be performed by City of Ridgeland term bid contractors. Project work is expected to be completed in two months. Ridgeland Public Works Director Mike McCollum, Jackson Mayor Tony Yarber, Ridgeland Mayor Gene McGee, Jackson Public Works Director Jerriot Smash at the joint project announcement of E. County Line Road Resurfacing. Mayor Gene McGee speaks to a group of interested citizens and officials at the Project Announcement for E. County Line Road Resurfacing Project.